Canada is moving to almost double its parks and protected areas in the next two years. The push to conserve at least 17 percent of land and inland waters along with 10 percent of marine areas by 2020 is part of Canada’s pledge under the Convention on Biological Diversity to stem the tide of vanishing animals and plants and the loss of wild landscapes that sustain them. With just two years to the deadline, however, only 10.6 percent of Canada’s land is currently recognized as protected. Canada ranked last among G7 countries for the proportion of land protected as of 2017. Crown governments are developing a plan to reach Canada’s target with input from Indigenous leaders, industry, scientists and civil society. New funds from the federal government would help accelerate these efforts by supporting and partnering with Indigenous communities in planning, creating and managing new parks and protected areas. The international community gathered in the Aichi Province of Japan in 2010 to identify ways to conserve biodiversity—the plants and animals and other values that make up functioning ecosystems. Canada and 195 other countries agreed to design national plans to reach what are now known as the Aichi Biodiversity Targets. In 2015, Canada adopted the 2020 Biodiversity Goals and Targets for Canada. Provinces and territories agreed to the targets, making it a Pan-Canadian commitment. In 2016, federal, provincial and territorial deputy ministers for parks pledged to create a working group focused on the Aichi target of conserving at least 17 percent of lands by 2020. This initiative became known as Canada’s Pathway to Target 1. In June 2017, Environment and Climate Change Canada Minister Catherine McKenna and Shannon Phillips, Minister of Alberta Environment and Parks, introduced a National Advisory Panel (NAP) to guide the process. The panel includes experts from Indigenous organizations, environmental groups, resource industries, academia and youth. An Indigenous Circle of Experts (ICE) was also created. The group, including Indigenous conservation leaders and officials from federal, provincial and territorial governments, will recommend ways to create Indigenous protected and conserved areas across Canada. Federal, provincial and territorial ministers will meet again this spring to review this advice and map out next steps in the Pathway to Target 1. Are well connected and integrated into larger landscapes. Sustain biodiversity and provide habitat, clean water, fresh air and other ecosystem services. Work with Indigenous peoples to designate and manage Indigenous protected areas within their traditional territories, and incorporate these areas into Canada’s inventory of protected areas by amending applicable legislation, for example the Canada Wildlife Act. Indigenous conservation—including designing land use plans and creating and managing protected areas—has already resulted in the establishment of national parks, tribal parks and wildlife areas. 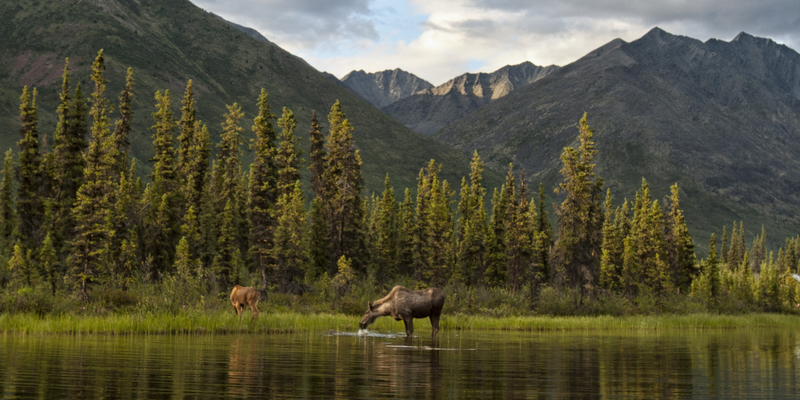 These protected areas are often created in partnership with Crown governments, including Torngat Mountains National Park, Tursujuq Park and the proposed Thaidene Nene National Park Reserve. Honouring these Indigenous intentions for the land will help advance Reconciliation and move Canada closer to its conservation goals. 87% of Canadians agree Canada should expand protected lands to at least 17 percent by 2020. 79% support increased federal funds to create new parks and protected areas. 74% of Canadians support Indigenous communities creating and managing Indigenous protected areas. A majority also think Canada should be doing better on the world stage when it comes to preserving wilderness. Survey results confirm that protecting the natural landscape is a core Canadian value, and people are eager for Canada to do more.